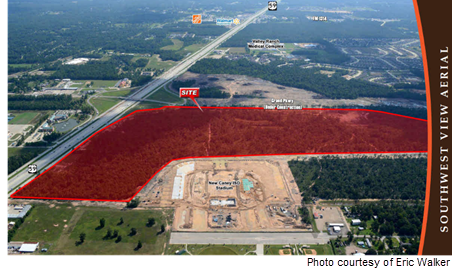 ​​​​ ​PORTER, MONTGOMERY COUNTY – The Signorelli Co. has revealed plans for The Pointe, a new multifamily project in a mixed-use development northeast of Houston. The Pointe, located at the intersection of the Grand Pkwy. and I-69/US Hwy. 59, will have 550 units, including 330 within the first phase, which will break ground in early 2018. Valley Ranch Town Center, a 240-acre mixed-use development, is part of the 1,400-acre Valley Ranch master-planned community that Signorelli is developing. The Pointe will be the first of six multifamily projects planned for the overall community.